Well folks, this Visio Guy and his main squeeze have been busily preparing for a year abroad, where we’ll be sharing our Visio knowledge with you from exotic locations such as Fiji, New Zealand, Australia and Asia. Now you can understand why we’be been preparing all those Geographic Map Drawings! So Visio 2007 has been released, and…well…I’d love to say that I’ve been pounding the pavement, doing a ton of research, and have dug up the latest scoop, but the guys over at Visio Insights have written a nice post entitled: What’s so great about Visio 2007? that anyone’d be hard pressed to beat. There’s some nice screenshots of the new datagraphics and pivot charts that are available in the new version, as well as links to Visio 2007 new-feature videos and other online resources. So go on over and have a look, and tell ’em Visio Guy sent you! Perhaps you have noticed that this web site is mainly devoted to custom Visio shapes and information about developing Visio solutions. But if you’ve seen the Snowflake Generator or the CD Jewel Case Template, you know that we’re not just about work and no play. 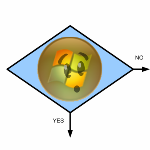 I’ve created a new Visio Art Page. 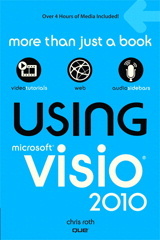 You can find a link to it at the top of every page on this site, as it is now a standing feature of Visio Guy. Hope you enjoy! I’m getting more and more questions daily about the soon-to-be-released Microsoft Office Visio 2007. Evidently, the final bits for the Office 2007 system have been released to manufacturing, but the products won’t be available ’til early 2007.